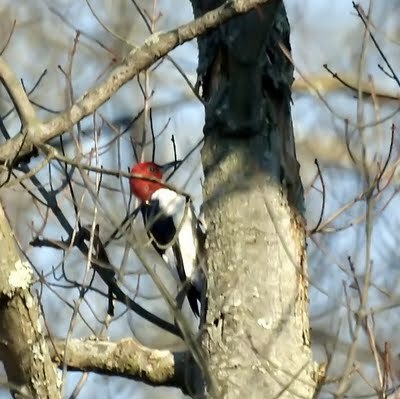 There was one, possibly two, Red-headed Woodpeckers in Lenape Park in Cranford this morning at 9:00. Park in the lot off of Kenilworth Boulevard. Walk on the dyke towards Westfield (going away from Kenilworth Boulevard). Stop about ten feet past the first sign on the dyke and look to the right. The adult bird was very active and vocal. This is the same location where this species showed up a few years ago and was present for the winter. We are posting this picture for Kenny, who we met there but unfortunately arrived a little too late today for the red-headed woodpecker. 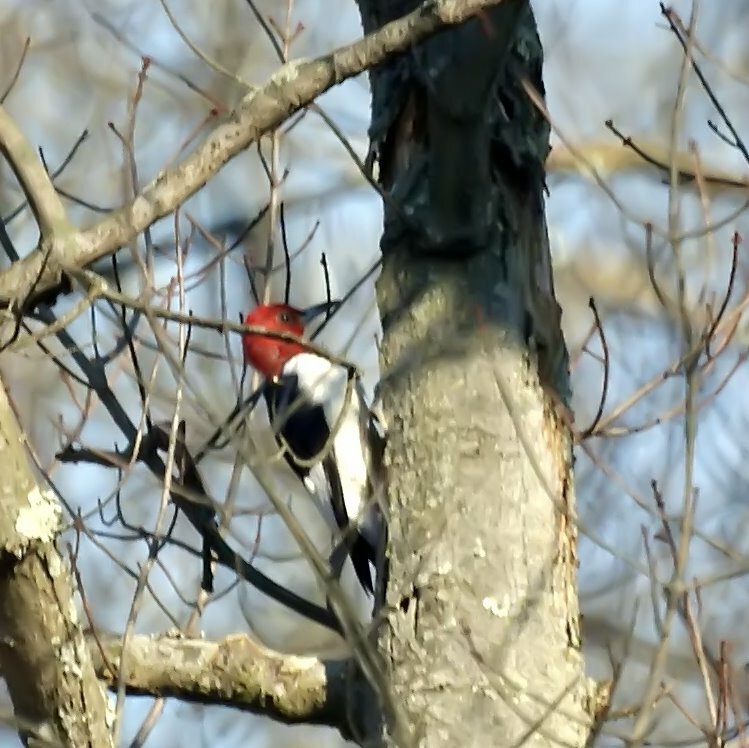 We saw flickers, red-bellied, and downies as well, but the red-headed woodpecker was what we were after. Thanks Hank. Below is a picture of the tree that shows that woodpeckers are present. I just saw this bird, the male, at the Mack-Cali building in Clark, NJ(an office building just a mile down the road from Lenope Park). I don't know anything about birds, but I was curious knowing I had never seen this type of bird before. I found it eveb more odd that it was standing just outside the entrance the building. It just sat there not even a foot from me for a few minutes and didn't move very much. Think it could have been sick? I found the type of bird on google and searched for red-bellied woodpeckers in NJ and it brought me to this exact page. How odd! I hope it wasn't ill.